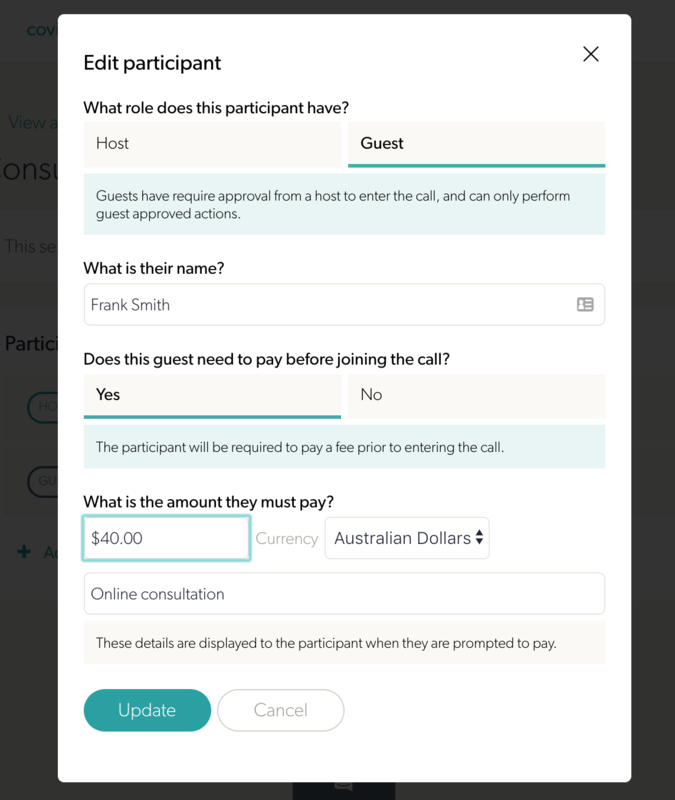 Coviu's Marketplace (see https://coviu.com/addons) has two add-ons that together make it possible for clinics to manage simple appointment bookings within Coviu and to associate payments with the appointment bookings. Activate them from the add-ons marketplace after logging into Coviu as an account administrator. Clicking on "Schedule" allows you to see the current month of scheduled sessions and filter for the week or day, or see an agenda list. You can also navigate to previous or next months. If you are using a Practice Management Software, we recommend simply copying the Host URL into a replicated booking in the Practice Management Software so the clinician can click into the appointment booking from right there. Alternatively, they can enter from Coviu also. The patient link can be added to reminder emails for the patient appointment. 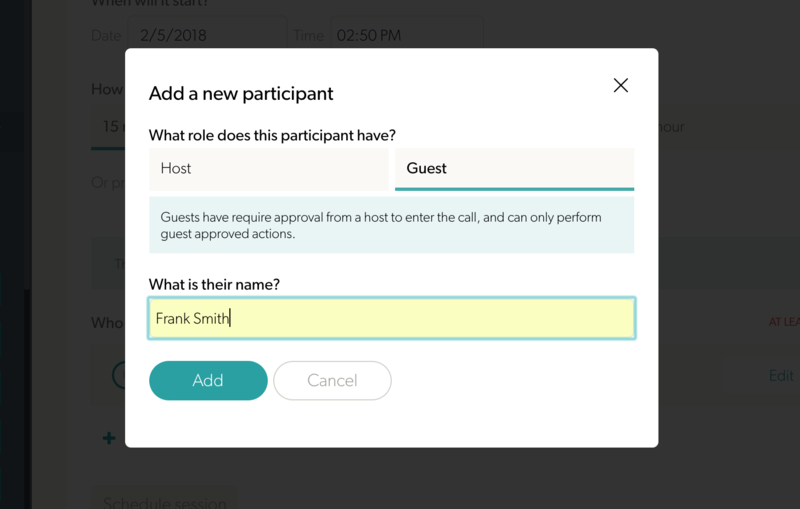 Once configured in this way, a patient can only enter the scheduled video consultation session if they have paid the required amount. The patient URL can be accessed even before the consultation to make the payment, so sending that URL in reminders is very useful to get the payments. You can always retrieve an invoice for the patient out of your Stripe account if necessary.